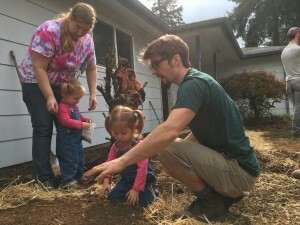 Growing Gardens’ Home Gardens Program is a three-year partnership program that is free to Portland residents who meet low-income guidelines. We provide a garden installation, plant seeds and starts, compost, tools and educational workshops. We also partner gardeners with master gardener mentors – if they would like direct support and gardening lessons. We believe that growing food empowers people to make healthier choices, spend more time outdoors, and develop closer relationships to neighbors and the local community. 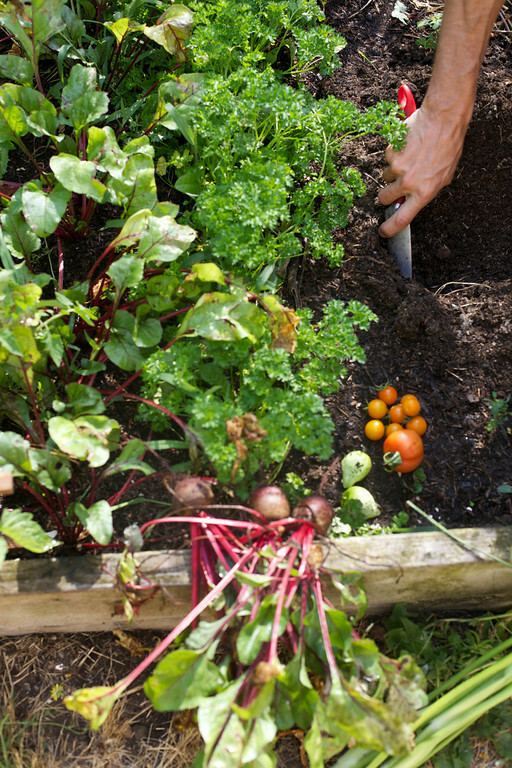 In-Ground Gardens: Two 4×8 foot garden beds built in the fall for use the following spring. Grow Anywhere Containers: For residents with-out space for an in-ground garden. We provide five-gallon plastic containers filled with a soil mix in the spring for use that season. Disabled Accessible Raised Gardens: One 4×8 foot, 2 foot high wood-framed raised bed. This option is for gardeners with health issues that prevent them from using in-ground beds. Built in May for use that spring.